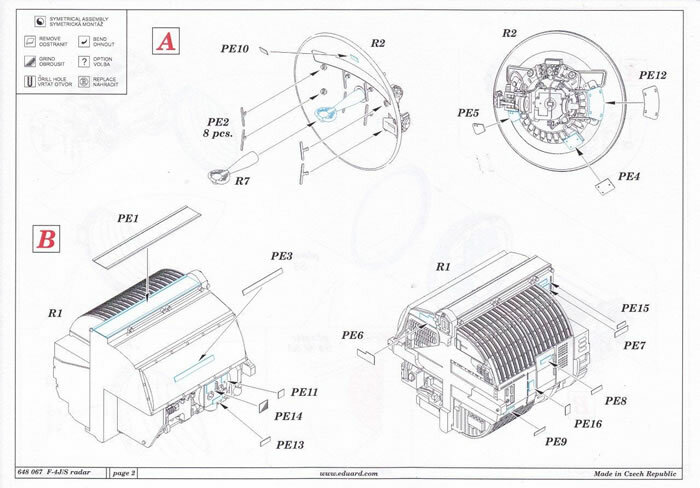 8 x Grey resin parts, Photo etch and double sided A5 instruction sheet. A great way to display the AWG-10 radar. Recommended for all Phantom Phreaks. The F-4J (522 aircraft) was the final version of the Phantom II produced for the US Navy and US Marine Corps. It constituted an improved version of the F-4B and flew operationally for the first time in 1966. Similarly, 265 F-4J aircraft went through a modification, to provide more structural strength, a longer fatigue life, updated mission equipment (AN/AWG10 to AN/AGW-10B radar) and a slatted wing. These modified F-4J aircraft were designated F-4S and the first one flew in 1977. The first forty or so F-4J airframes converted to F-4S were completed before the slat "kits" were available. These were sent to the Marines as F-4J/S Phantoms (it was even painted on the aircraft). After the Falkland war, the RAF bought fourteen Navy F-4J Phantoms to replace F-4M Phantoms that were used to provide air defence for the Falklands with 23 Squadron at Port Stanley. These F-4J(UK) Phantoms were given the RAF numbers ZE350 to ZE364 and served with 74(F) Squadron at Wattisham in Suffolk, UK. The Westinghouse AWG-10, was at the heart of all these aircraft and gave the F-4 an improved capability in the Air-Air arena by providing search and track data to Sparrow and Sidewinder missiles. The AWG-10 was also the first multi-mode radar with a pulse-Doppler, to provide a look-down capability. 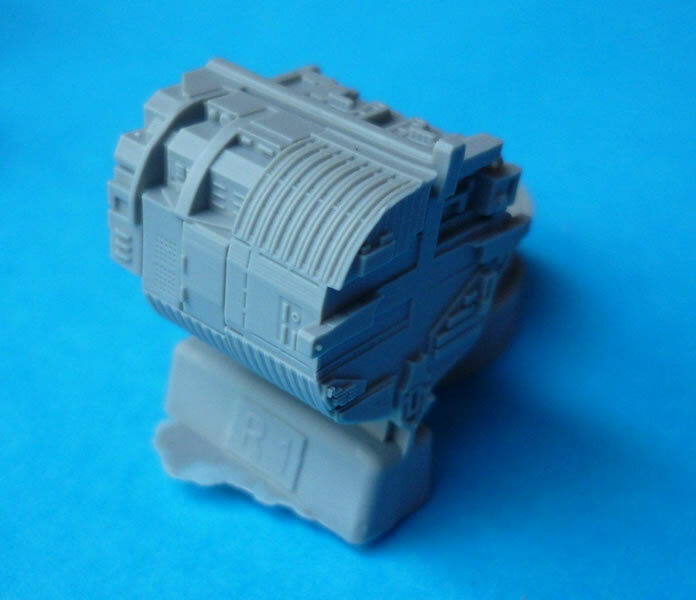 As expected from Eduard the mouldings are of a very high quality, though some of the casting blocks will require a little extra care to remove. 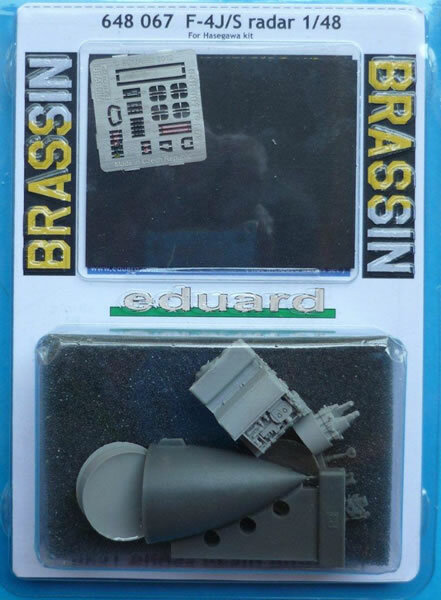 The detail on the AWG-10 is amazing, it would however, be nice if Eduard could provide a painting guide as this BRASSIN set will look great when painted. 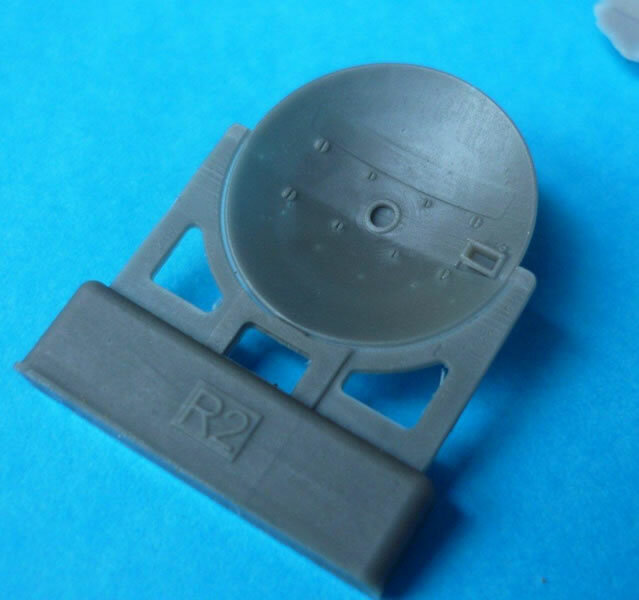 The Antenna (APG-59) itself consists of resin and colour photo etch parts. 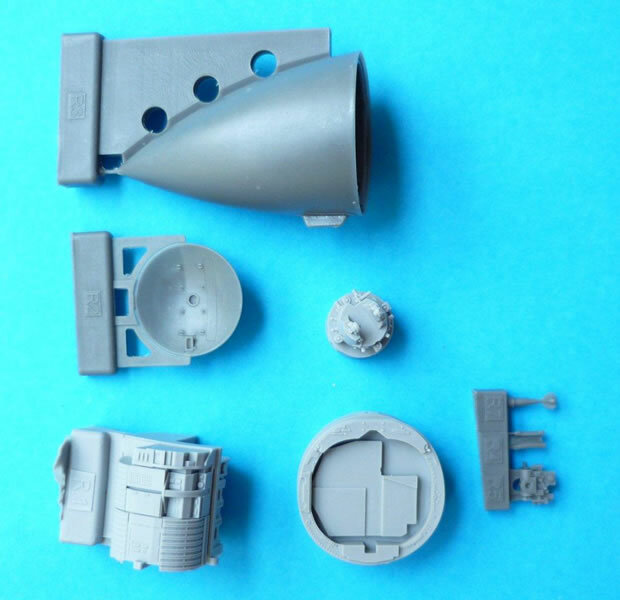 The only possible weak point (literally) of the set may be where the nose attaches to the fuselage, some well hidden wire may assist here. 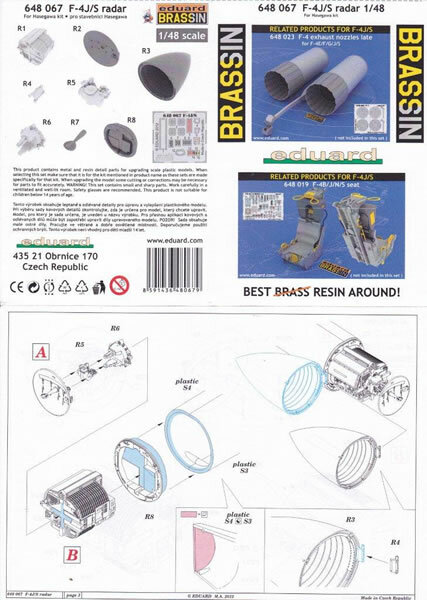 Eduard recommends this BRASSIN set for the Hasegawa F-4. 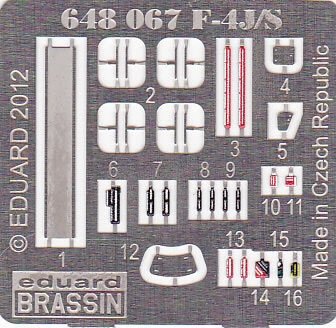 This looks to be a great aftermarket addition for your USN/Marine F-4J/S or RAF F-4J.